In my roughly twenty-three years of reading there are three books that I have hated enough to actually throw across the room. One was Longitude by Dava Sobel–really, of all the exciting, inspiring, relevant books you could assign to teenagers for school-wide assigned summer reading WHY would you choose this? The other was A Thousand Acres by Jane Smiley which I was assigned my junior year of high school. I was going through a serious Shakespeare phase (see also: know-it-all phase) and I found this re-imagining of King Lear tawdry and badly done. The third was Kim, a novel by Rudyard Kipling that I was assigned my Junior year of college and the novel that I willingly chose to re-read for today’s post. I read Kim in my nineteenth century British novel class–a class I had been trying desperately to get into since my freshman year of college but which always closed before I could claim a spot. I imagined that this class would be the best I ever took because I would finally be assigned Victorian novels–my most favorite kind–maybe we would even spend weeks studying gothic romances, obscure female authors, mystery novels! I could hardly contain my excitement. Instead, I had a professor who only wanted to study post-colonial literature written by men, which certainly has its merits but was not was I was expecting. I was profoundly disappointed, and the apex of this disappointment came when I tried to read Kim. I grew up loving The Jungle Book so I thought that maybe Kim wouldn’t be so bad. I was sorely mistaken (it seems the theme of this post is “never get your hopes up ever about anything”). Kim is the story of a little boy named Kimball O’Hara. Kim is the son of an Irish soldier and poor white mother–both of whom have died and left him under the care of an opium-smoking “half-caste” woman in India. Kim is woefully neglected by his caretaker and is constantly escaping the house to find food elsewhere. The food scenes in Kim are, in my opinion, its only saving grace. While Kipling’s feelings of racial superiority and belief that India deserved to be colonized by the British is made clear from the novel’s beginning, a true and genuine respect for and love of Indian food can be seen in Kim’s food descriptions. Kim is eventually discovered by his father’s regimental chaplain who recognizes his ability to blend in seamlessly and “borrow right-and left-handedly from all the customs of the country he knew and loved” (121) and thinks it could be useful as a military espionage tool. Kim is called “Little Friend of All the World” because “no white man knows this land as thou knowest” (139) and Kipling’s descriptions of him eating Indian cuisine are a way of furthering this notion–Kim is quite literally ingesting Indian culture. 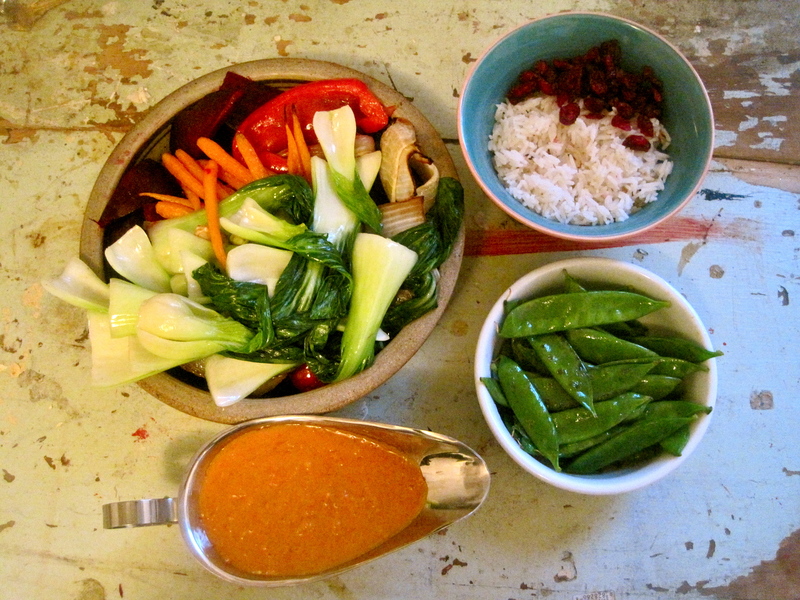 As disappointed and frustrated as I was by Kim I did gain one thing from reading it–an undying love of vegetable curry. I had never had a taste for curry until I read this book and found my mouth-watering at every curry description. For the two weeks we studied the novel I would leave class and go straight to Curry Kitchen to do my homework in front of steaming bowls of nav rattan curry or bharta. 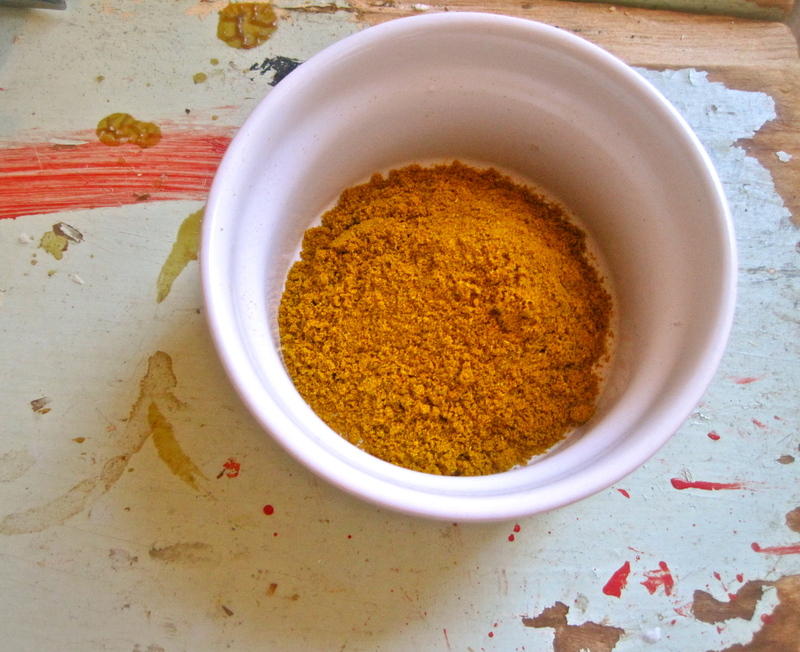 Recently, my cousin’s fiance, Pete who works for his family’s spice company, brought me back some incredible curry powders from his trip to India. Smelling them I was immediately brought back to that period of time five years ago, reading Kim and living off of Curry Kitchen dinner specials. A craving for curry that strong has to be solved immediately with whatever one has in her fridge, so the dish I made is by no means a traditional Indian vegetable curry, but it cured my craving and was delicious nonetheless. Sub whatever vegetables you want in place of the ones I used (although I will say that this mix was really well-rounded in terms of texture and flavor). You can also use raisins or any other dried fruit in place of dried cranberries and whatever kind of rice you like most. 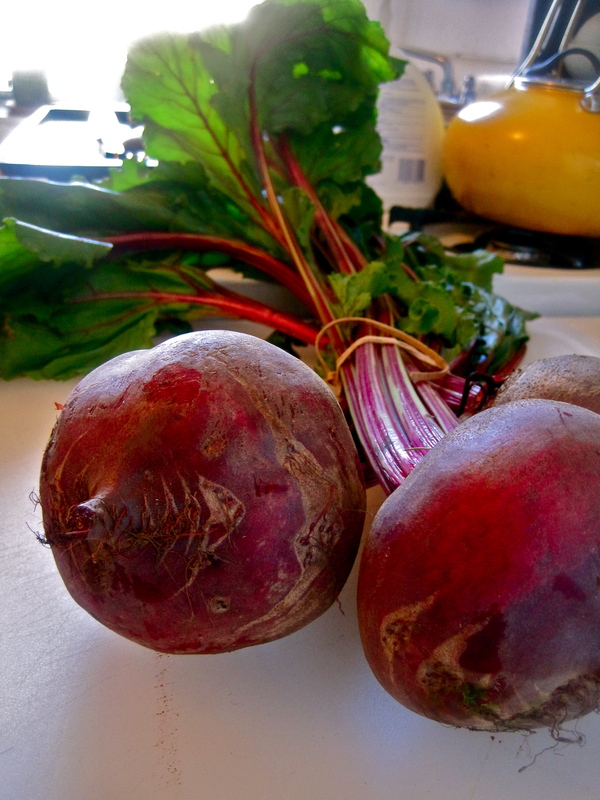 To roast the beets: first remove the leaves and wash them thoroughly to remove any dirt and debris. 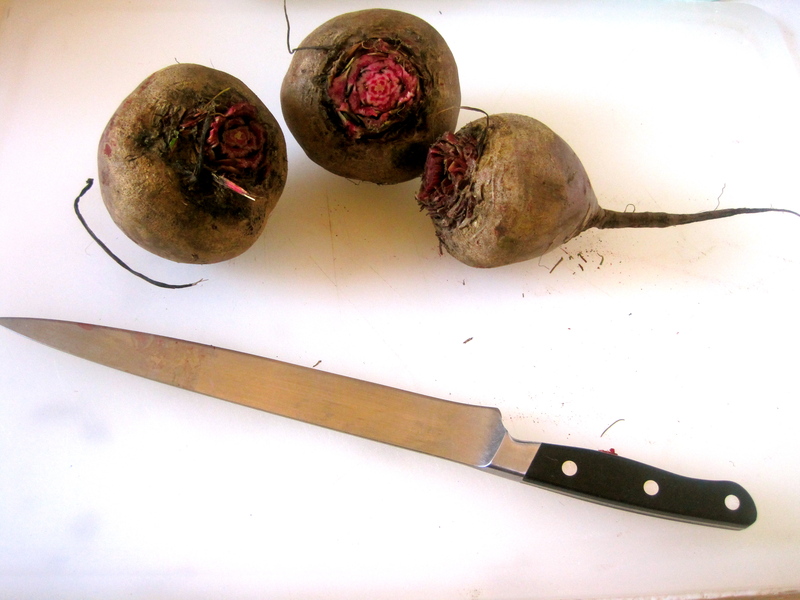 Cut off a large piece of tinfoil and lay the beets out on them. 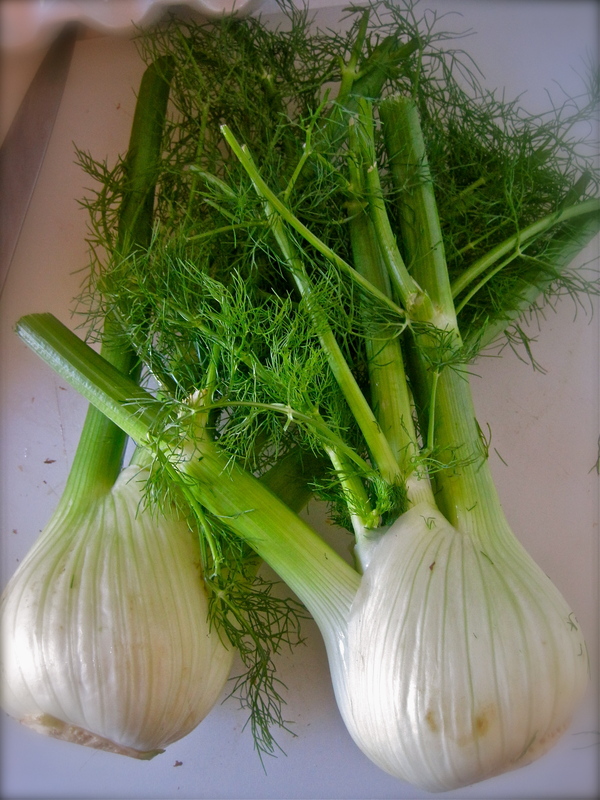 Rub them in olive oil, cover with salt and pepper, add thyme sprigs and 3 cloves of garlic (smashed with the palm of your hand). 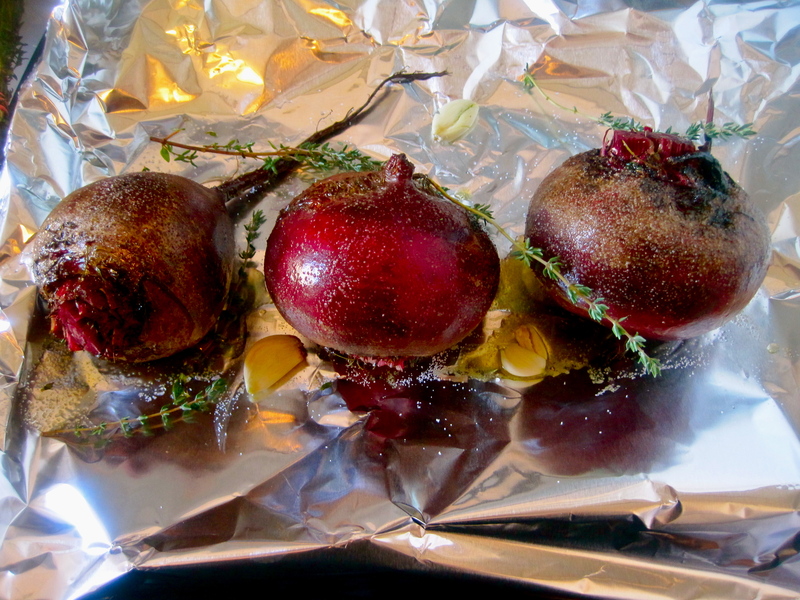 Make a pouch with the tinfoil around the beets and put them on a sheet pan. 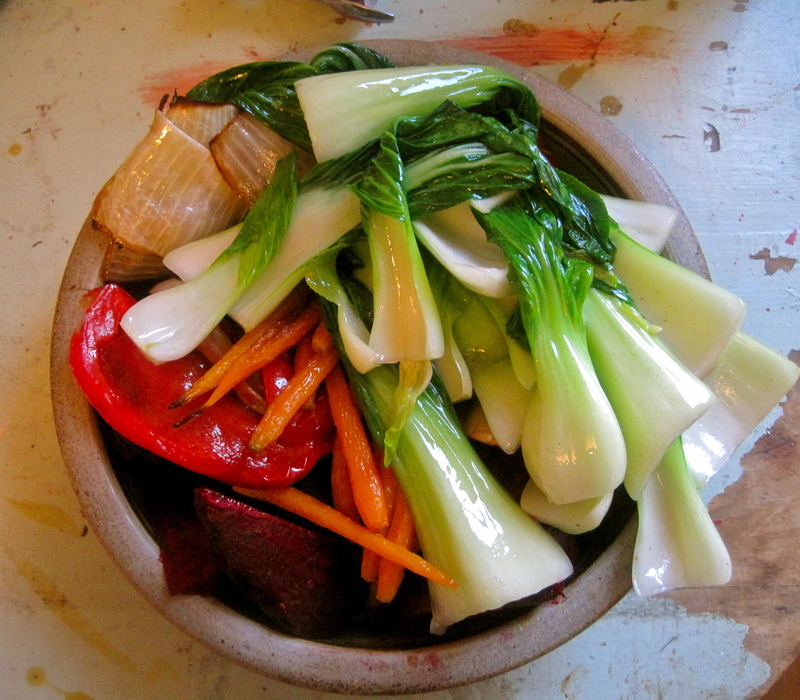 Roast at 375 for about 45 minutes or until a fork can easily puncture the skin. 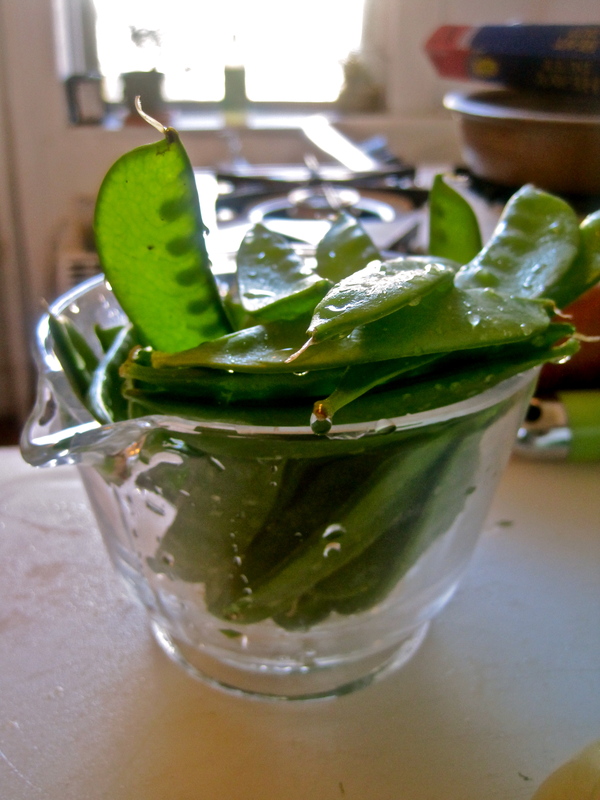 You can peel the skin off by rubbing it with a clean dish towel. The peppers, onion, carrots, and fennel I just washed, trimmed, cut, covered in olive oil salt and pepper and roasted at 375 for about 25-30 minutes, checking them at regular intervals to toss and rotate. 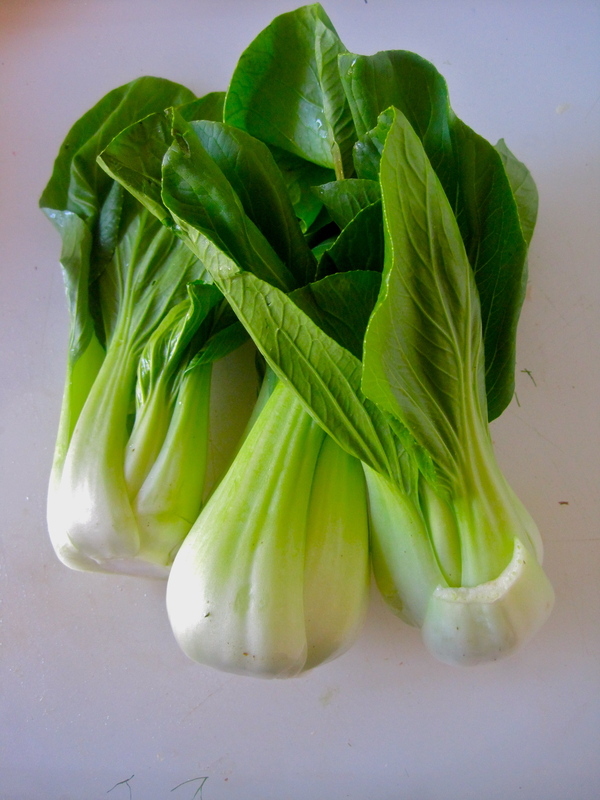 The bok choi and snap peas I cooked in a wok with olive oil, tossing them vigorously for only about a minute so they were cooked but still crispy. 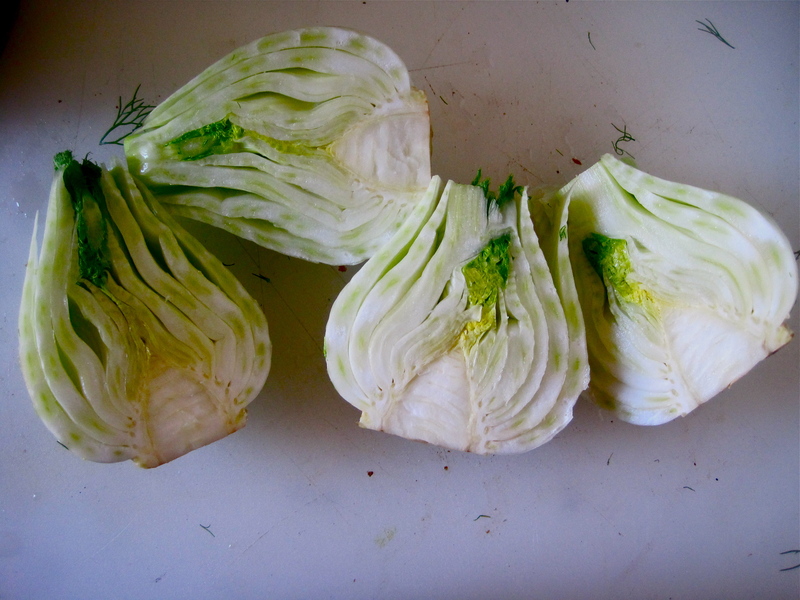 Melt butter in skillet, add diced onions and cook until soft and translucent. Add minced garlic and fresh ginger and cook for another minute or so. Put chicken broth in a separate pan to heat up. Lower heat and add curry powder to onions and mix until it coats everything in the pan. Add flour and stir to make a paste. 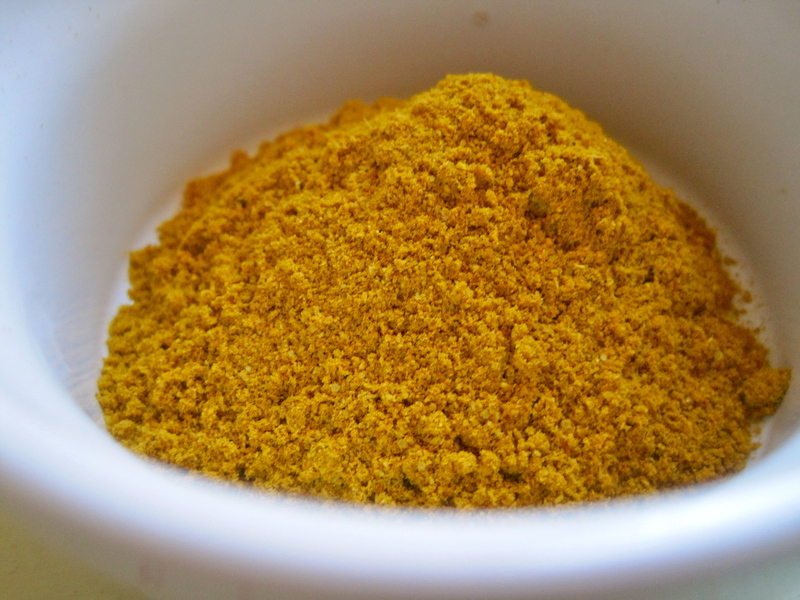 Slowly add warmed chicken broth to curry onion mixture, whisking constantly as the mixture thickens–about 5-7 minutes. Add brown sugar and diced tomatoes and allow to cook on medium low heat for another 10-12 minutes. Once the mixture was cool enough I put it in a blender and blended it until smooth (this is optional if you don’t mind a chunky sauce). Cook rice according to package directions (I used jasmine rice). 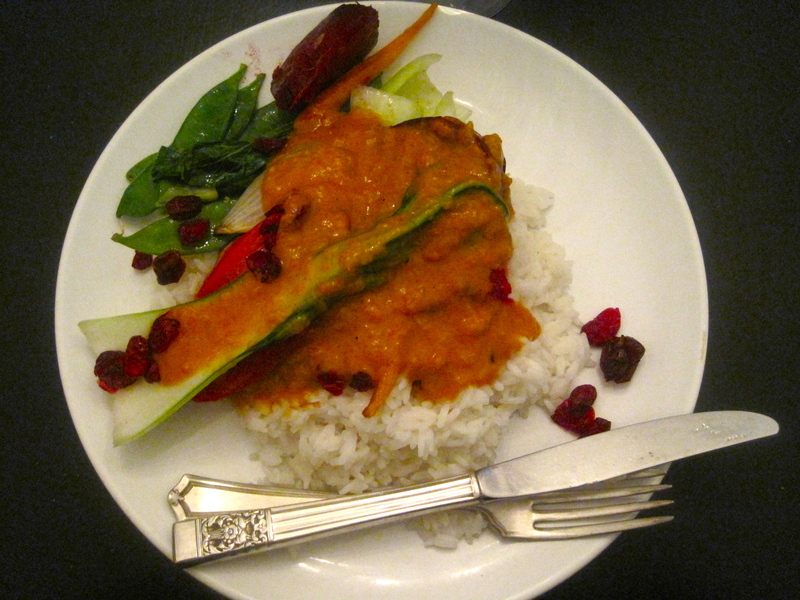 Heap vegetables on top of rice, cover in curry sauce and sprinkle with dried cranberries.